Dr. Lauren Hale, a new hospital resident, is nearly killed by a raving mad emergency room patient, in a senseless, unprovoked attack. Officer David Olson, veteran cop and former Marine, returns from a father-son camping trip to discover that his ex-wife has vanished under bizarre circumstances, and his police department is on the verge of collapse. Jack and Emma Harper, a young, upwardly mobile couple, find their hip city neighborhood rapidly descending into madness. Alex Fletcher, Iraq War veteran, has read the signs for years. 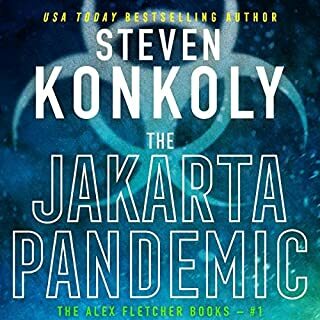 With his family and home prepared to endure an extended period of seclusion, Alex thinks he's ready for the pandemic. He's not even close. The unstoppable H16N1 virus rapidly spreads across the United States, stretching the fragile bonds of society to the breaking point. Schools close, grocery stores empty, fuel deliveries stop, hospitals start turning away the sick...riots engulf the cities. Danny and Alisa's lives are turned upside-down when Danny begins having prophetic dreams about the judgment coming upon America. 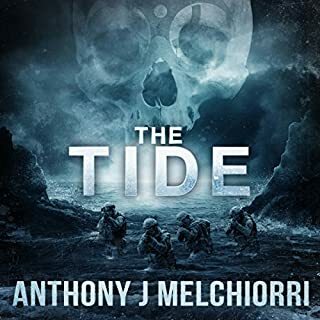 Through one of Danny's dreams, they learn about the imminent threat of an EMP attack which will wipe out America's electric grid, sending the country into a technological dark age. 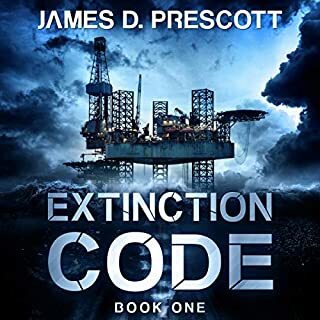 If they want to live through the most catastrophic period in American history, Danny and Alisa will have to race against time to get prepared, before the lights go out. Don't miss this epic thrill ride. 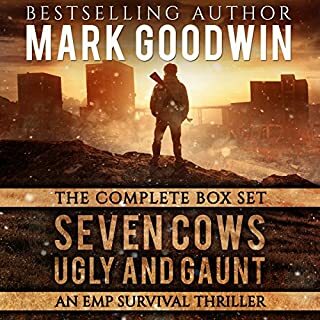 Get your copy and start this heart-stopping EMP saga today! Something insidious has arrived - right in the heartland of our nation. Dr. Lauren Hale, a new hospital resident, is nearly killed by a raving mad emergency room patient, in a senseless, unprovoked attack. Officer David Olson, veteran cop and former Marine, returns from a father-son camping trip to discover that his ex-wife has vanished under bizarre circumstances and his police department is on the verge of collapse. Jack and Emma Harper, a young, upwardly mobile couple, find their hip city neighborhood rapidly descending into madness. Deadly outbreaks of diseases make headlines, but not at the start. Every pandemic begins small, subtle, and in faraway places. When it arrives, it spreads across oceans and continents, like the sweep of nightfall, killing millions, or even billions. Be prepared to get very, very paranoid. 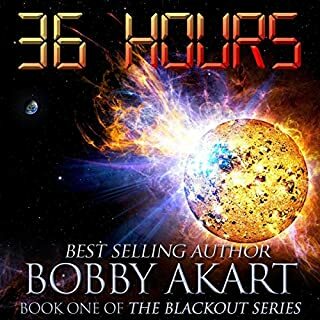 A new post-apocalyptic medical thriller fiction series from author Bobby Akart (The Blackout Series, The Boston Brahmin series, and the Prepping for Tomorrow series). The events depicted in The Pandemic Series are fictional. They are, however, based upon historical fact. 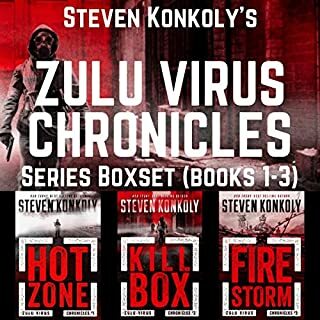 In Beginnings, book one of The Pandemic Series, a deadly plague virus has been introduced across the glove by ISIS terrorists who are waging the mother of all wars - The Final Jihad. 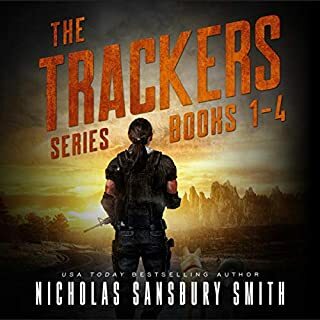 Dr. Mackenzie Hagan, a disease detective and epidemiologist at the CDC-Atlanta and Nathan Hunter, an off-the-books operative for the mysterious Project Artemis within the Department of Defense, join forces to both identify the disease, but also to locate its source. In The Innocents, book two of The Pandemic Series, ISIS terrorists continued to wage the Final Jihad, infecting innocent people around the world. The highly contagious form of the plague has been genetically modified - to be the perfect killer. In Level 6, book three of The Pandemic Series, the pandemic has hit a brick wall, but not because it's burned itself out. Rather, it's running out of victims. Social distancing is the only way to avoid a gruesome fate. 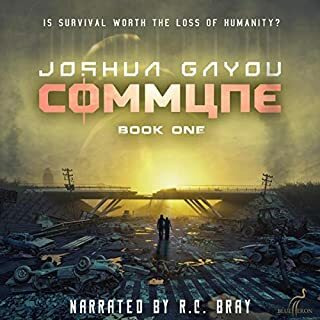 Unfortunately, in a dystopian world where resources are scarce and scavenging is a way of life, every moment away from where you live could result in your death from either the disease, or your fellow man. 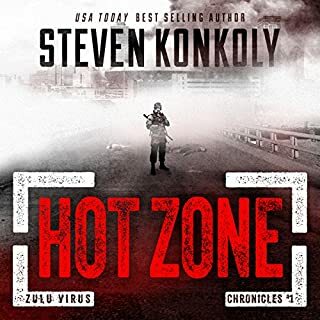 This is an ingenious, inventive post-apocalyptic thriller about the threats we face from a global pandemic and the use of infectious diseases by terrorists as they wage jihad around the world. ©2017 Bobby Akart Inc. (P)2017 Bobby Akart Inc. Here we are, 8 weeks into the Pandemic, and most of the worlds population is either sick or dead. Supplies in shops are running low, people are beginning to realise just how bad it is. The president is hunkered in his bunker but is becoming increasingly erratic, Level 6 is in full affect and life is on the brink. Meanwhile Mac and Hunter are trying to get into a routine and Mac and her mum are setting up a makeshift lab to try to find either a cure or a vaccine. Life in their little mountain retreat is plodding along. Something happens and one of Mac's loved ones becomes infected, so it's a race against time for Mac! This series is simply amazing. The attention to detail is phenomenal. I felt like I was watching a documentary while reading and learned a lot!! The situations the characters find themselves in was frighteningly real and you find yourself immersed in their story. You'll laugh and cry along with them and just find yourself a part of their world. We get to see more of the characters struggles in this as they try to survive. Character wise, what I love most about this series are the characters. Mac is so smart and resourceful, her mum and dad are awesome and then there's &quot;billionaire batman&quot; Hunter, who just rocks!! The characters are all well written and developed and have made their way into my heart. 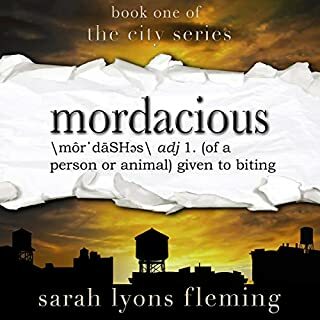 There really isn't much else I can say about this because I would spoil it for others so I'll just say that this series is one of my favourites and I highly highly recommend it!! If you love medical thrillers or viral outbreaks then you will love this! 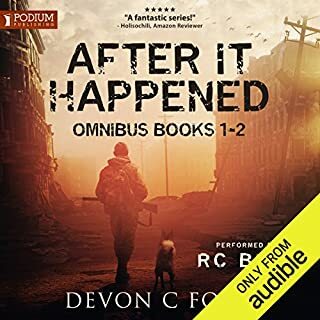 Now this does end on a massive cliffhanger but it's ok because I know book 4 is coming soon to audio and I bought the ebook already!!! Go read it, you won't be disappointed!!! I have to say that at this stage, I couldn't picture anyone else narrating this. Both the narrators were awesome and really read this well. They captured the characters feelings perfectly and really brought the anxiety and heartbreak of the characters to life. 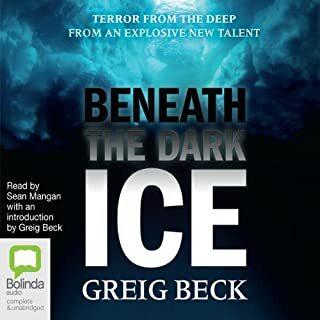 I was voluntarily provided this audiobook for free from the author, narrator, or publisher. This in no way affected nor influenced my thoughts. 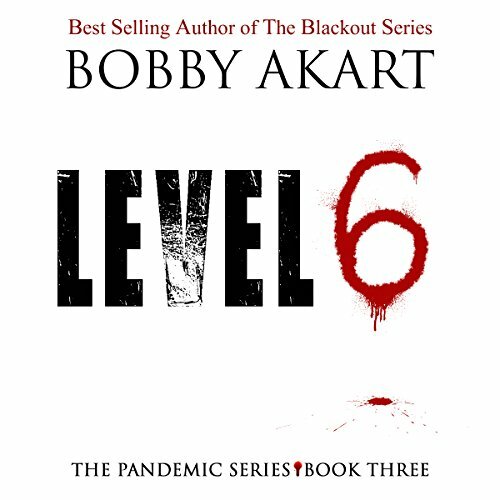 Level 6 is the third book in the Pandemic Series by Bobby Akart. It tells the story of the continued die-off on Earth and what the survivors are left to deal with. It also tells of trying to find a cure when your back is against the wall and friends and family could be next. But most of all, Bobby Akarts’ Level 6 is a story about surviving the unimaginable. Level 6 is the third book in a four book series, and it doesn’t have the sort of middle-book syndrome that some of the middle stories can get. Akart didn’t hold back when writing this and I’m glad that he didn’t. The story itself was really enjoyable and I could tell that he was back to writing about things that he’s intimately familiar with (prepping). That being said, he still talks a lot about the disease and the way that various groups are trying to fight back. So don’t worry, he didn’t just stop writing medical thrillers to go back to his typical post-apocalyptic tales. 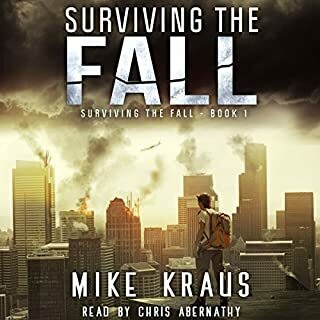 This story has a pretty big cliff hanger and if I wasn’t such a lover of audiobooks I might start the final book just to figure out what happened, but I really want to hear Kris and John finish the narration of this series. A few times while reading I believe that I even said “wow” out loud. 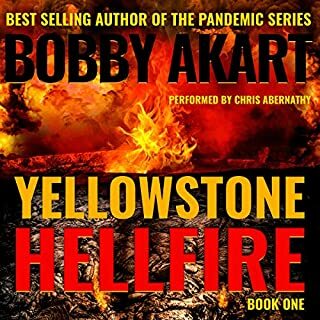 I’ve read almost every book that Akart has put out and he’s still able to surprise me. I love that about these books. They’re outside of his normal wheelhouse just enough that he’s able to write storylines that feel similar but are totally new and unique for him. Overall, Level 6 wasn’t a junior slump by any means, but I cannot wait to see what is in store for Quietus — the finale of this series. I feel like it’s going to be one that I won’t forget for a long time to come. I received a free copy of this book. It has not affected my review of my opinion. If you enjoyed this review, please vote for it! Every vote helps. If you'd like to see more books like this please check out BriansBookBlog DOT com. 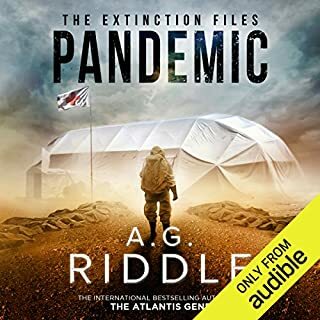 Another great installment in the pandemic series. Left me with a cliffhanger of course so I have to wait for the fourth installment to come out on Audible. Very much looking forward to the conclusion of this fantastic series. Can't wait for book four! More of an awesome story. Realistically terrifying. I devoured the first three books, you're on the edge of your seat the whole time, just knowing that this is a very real possibility. Level 6 is scary. This could happen! 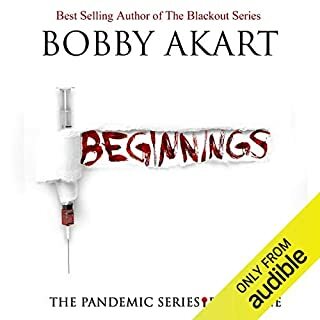 Level 6 follows "Beginnings" and "The Innocents" from the Pandemic series by Bobby Akart. Each book has been an excellent listen and "Level 6" is no exception. The story has really grabbed me and drawn me in. I cried, laughed and cheered in different parts of the story. I feel like I’m there and part of the family with Hunter and Mac. Hunter and Mac are the main characters. They work for different federal agencies both are investigating a virus that appears to have the potential of a serious pandemic and because it is suspected that the introduction of the virus was by terrorist. Their lives are intertwined throughout the investigation and they are falling in love. While their relationship grows so does the investigation. It has become obvious to Hunter and Mac that the virus is out of control and it is time they think about their own survival. The country is in chaos and law and order is no longer. The President and the key government officials that at still living are making decisions that are shocking and will affect the entire world. Narration is excellent and I can say now that I really like the dual narration. Both John David Ferrell and Kris Adam do a great job. The story keeps you on the edge of your seat. It tuned my stomach to realize that this scenario could happen in real life.. I said this in my last review, I believe we could be reading this storyline in the headlines of a newspaper someday. Breaking news, “Terrorist kill millions with deadly virus”. Quick get me a mask and hand sanitizer. Happy Listening. *I was given this book to listen to so that I may give an honest review. I guarantee no one had to make me give a good review. I can't say enough about this series. A great listen. The storyline as captivating as ever. Can't wait for final book in the series. Then what? A must read/listen to story! What made the experience of listening to Pandemic: Level 6 the most enjoyable? The awesome job the narrators did capturing the characters emotions. What was one of the most memorable moments of Pandemic: Level 6? It would be a spoiler to anyone reading this so I decline to say. As with all of the movies I’ve watched and audio books I have listened to, I did read the book first so that I could form in my mind what I see or hear and not what a director or narrator with their own ideas of what a character sounds like can influence me. I have to say the dual narrator team of John David Farrell and Kris Adams got it perfect as to what I thought the characters sounded like in all of the scenes in this engrossing story that Bobby Akart painstakingly wrote. This being the third book in this series, I have come to really feel the emotions that are flowing within the tight circle of family and friends of Mac and Hunter. I’ll be honest, I did laugh out loud at times as the little comic relief that was added to what is a terrifyingly realistic story brought a much-needed break and I also cried at scenes that well, were just heartbreaking! In addition to the amazing writing of this story, the narrators hit all the right buttons during each scene with right infliction of grief, happiness, stressfulness, etc. that brought the story totally to life. 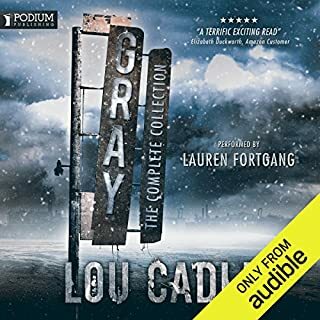 I can’t say enough good things about the book or the audio. This is one series that I am so happy to recommend because it is that good. Definitely a must add to everyone’s library of books and audible stories. I love a good end of the world book but I just couldn't continue the series. Half way through book 3 and I couldn't stop rolling my eyes and hoping they would all die. 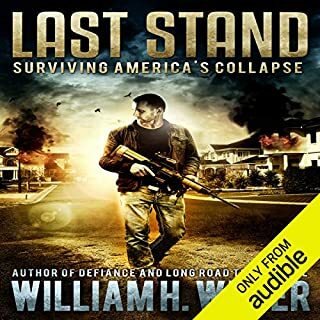 Each chapter felt like a Prepper lecture and not an entertaining read. As a scientist and nurse, I thoroughly enjoyed this next chapter in the very believable pa democratic story. Like any great work, I was stunned by the ending and eagerly await the next book! Akart’s splendid research team, whose details about medical care, epidemiology and my beloved Colorado held me in the narrative with no eye-rolling or head-shaking about sloppy artistic license-they nailed it! I am addicted!! I have to know what happens next!!! how does Mr Akart do it? !